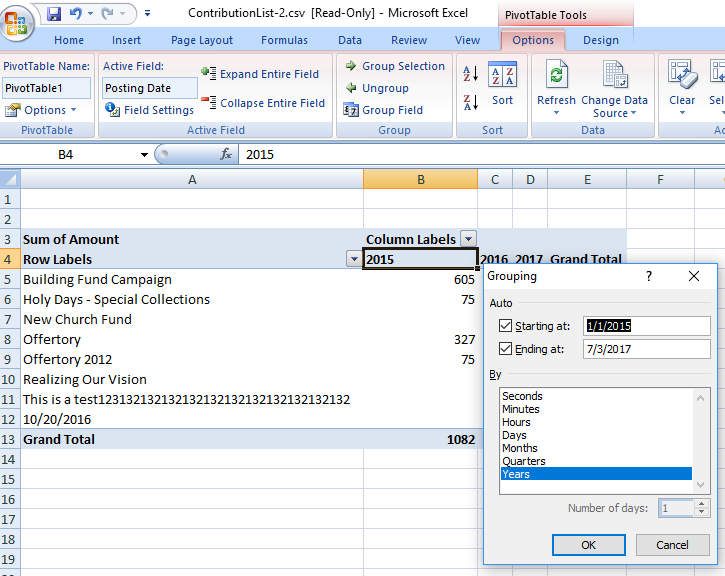 To create a summary for any given number of years, you must create a pivot table in Excel (if you don't have Excel, modify instructions for Google Sheets). First go to the Offering Module → Contribution List. Then select your Start Date and End Date. 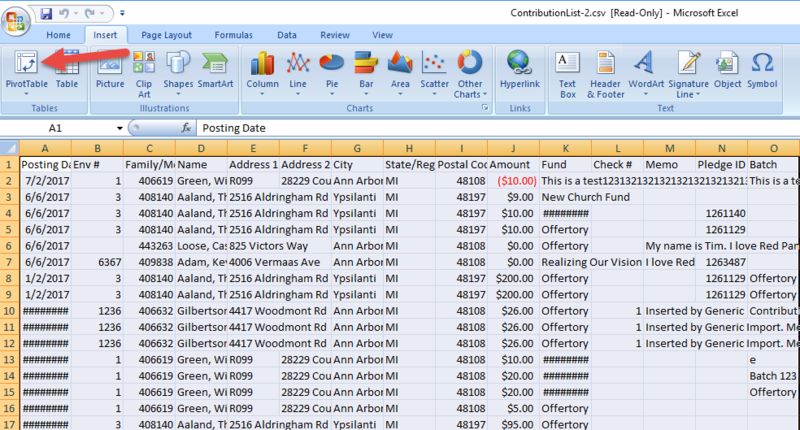 Click View Contributions to generate the results, then Export to CSVA to export the data to excel. In Excel, highlight your data and choose Pivot Table from the Insert tab. Does giving history show years where the family didn't give? PSFS Offering - Contribution List: Why can't I see contributions?